If your franchised dealership sits among a total of eight rooftops within a span shorter than a test drive, experts say that at least one operation — perhaps where you sit now — has gained new ownership during the past four years. And it appears that buy/sell pace could intensify. Kerrigan Advisors pointed to a pair of reasons why the number of second-quarter transactions spiked after a slow start to the year. According to The Blue Sky Report generated by Kerrigan Advisors and released on Wednesday, new tax law and improved economies of scale and scope are among the trends driving a robust buy/sell market. The report indicated 75 transactions were completed in Q2, a 92-percent increase over Q1. With consolidators and publicly-traded auto retailers seeing increased earnings as a result of these factors, profitability at dealerships holding steady, and dealerships embracing innovative, profit-driving business models, Kerrigan Advisors predicts that 2018 will mark the fifth consecutive year to see more than 200 transactions. However, the Kerrigans did note that while blue sky values remained high in Q2, they were below 2017 levels, partly as a result of rising interest rates and floor plan cost increases. But, despite a plateauing seasonally adjusted annual sales rate for new-model delivers, The Kerrigan Index, which tracks publicly-traded auto retail companies, continues to rise, indicating that Wall Street believes that scale matters and that anticipated disruptions to auto retail will disproportionately benefit the largest dealership groups. 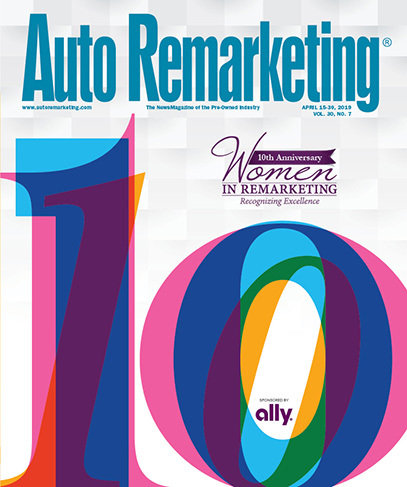 “There is little doubt that size will be a key driver for future success in auto retail,” Ryan Kerrigan said. The Blue Sky Report, published by Kerrigan Advisors, is the auto industry's most comprehensive and authoritative quarterly report on dealership M&A activity, as well as franchise values. It includes analysis of all transaction activity for the quarter, and lays out the high, average and low blue sky multiples for each franchise in luxury and non-luxury segments. • 114 dealership buy/sell transactions were completed in the first half of 2018, compares to 101 transactions in the first half of 2017. • The number of franchises sold rose 22 percent over the first half of 2017. • The number of multi-dealership transactions increased to 33 during the first half of 2018, versus 23 in the first half of 2017. • Domestics maintained their leading position, followed by import non-luxury franchises and import luxury franchises. • The publics are tracking towards nearly $1 billion of US acquisition spending in 2018, a level that would surpass all prior years, except 2014 when Lithia Motors acquired DCH Auto Group. • Private dealership groups continue to represent the largest share of dealership acquirers. Only 22 of the estimated 192 franchises that changed hands in the first half of the year, were acquired by public companies. • Dealership rents rose as compared to 2017, creating concern: the average dealer now has a rent to gross profit of 11.2 percent, a 3.7-percent rise over the 2017 ratio. In addition to expense reduction and a focus on geographic concentration, the report emphasized the importance of successful and innovative business models to increased valuations, citing the recent sale of Wilsonville Toyota and Wilsonville Subaru, both of which effectively utilized a no-negotiation sales model, resulting in profitability far higher than industry standards. Kerrigan Advisors monitors conditions in the buy/sell market and publishes an in-depth analysis each quarter in The Blue Sky Report, which includes Kerrigan Advisors’ signature blue sky charts, multiples and analysis for each franchise in the luxury and non-luxury segments. To download the entire report, go to this website. The company also releases monthly The Kerrigan Index composed of the seven publicly traded auto retail companies with operations focused on the U.S. market. The Kerrigan Auto Retail Index is designed to track dealership valuation trends, while also providing key insights into factors influencing auto retail. To access The Kerrigan Index, go to this website.